Being, or wanting to become, a scientist requires academic training in the science subjects. To succeed as a research scientist and educator requires specific as well as general skills. 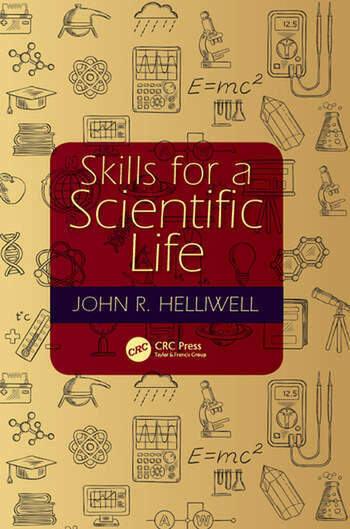 Skills for a Scientific Life provides insight into how to be successful. This career book is intended for potential entrants, early career and mid-career scientists for a wide range of science disciplines. How do you know you are suited to be a scientist? Skills for a better researcher. How to recognize a good idea. How to make significant discoveries. How to write a successful grant proposal. How to assess research risks. How to set up, lead and care for your research team. How to publish one’s results. How to communicate your results. How to avoid the travails of a research manager (or the pitfall of ending-up-not doing science). How, and when, to effect collaborations. Holding to a vision; including avoiding politics and carrying on regardless. Being a good science research citizen. How to referee grant proposals. How to referee science articles. How to write a balanced book review. Skills for a being an educator. How to teach your subject to undergraduates. How to be a good Mentor. Skills for realizing wider impacts. Nature, nurture, conscientiousness and honesty. John R. Helliwell is Emeritus Professor of Structural Chemistry, University of Manchester. He has a DPhil in molecular biophysics from the University of Oxford and a DSc in Physics from the University of York. He is a Fellow of the Institute of Physics, the Royal Society of Chemistry, the Royal Society of Biology and of the American Crystallographic Association. He was recently elected an Honorary Member of the British Biophysical Society. "For those who do not inhabit the ‘ivory tower’ the life of a Professor can be mysterious and obscure. Professor Helliwell provides a refreshingly personal first-hand account that opens the door on the life of a very successful academic scientist. The book is written as a ‘how to’ manual that young and mid-career scientists will find highly instructive, but it also provides insights that will be helpful to those who wish to better understand how science works. Professor Helliwell’s expertise is in structural biology (he warmly traces his scientific lineage to Nobel Laureate Dorothy Hodgkin), and although the book draws on that field for anecdotes it is accessible and helpful to all fields. Highly recommended." – Titus Boggon, Ph.D. Associate Professor with Tenure, Departments of Pharmacology and of Molecular Biophysics and Biochemistry, Yale University, USA. "All the thirty-four chapters and eleven appendices are headed "How to ...". Drawing upon his own extensive and wide-ranging experience, Helliwell gives sound advice on almost everything that a scientist does or needs for teaching, research or management. 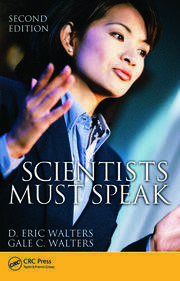 There is even an introductory chapter on whether one is suited to be a scientist! A very useful handbook - It will find its way on to every scientist's desk." – Moreton Moore, D.Sc., Emeritus Professor of Physics and Honorary Fellow, Royal Holloway University of London as well as Founding Editor of Crystallography Reviews. "Researching, teaching, managing projects, chairing meetings, writing reports, engaging with social media and the public, are all required daily activities for a scientist. 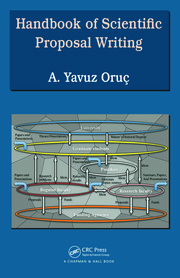 All these aspects for a scientific life are described and knitted together in this book, making it a mentor-on-paper for a young researcher. 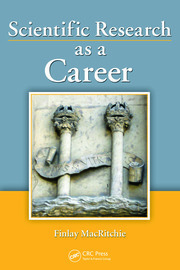 John’s book not only gives future scientists a comprehensive vision of their career-to-be and show how to pursue it, but it also refreshes the image of a today successful researcher to the man-on-the-road. This makes the book an enjoyable read for anyone …"
– Michele Cianci, Ph.D., European Molecular Biology Laboratory (EMBL) Hamburg Outstation. – Ken Jones, Chromatographia (2017), doi:10.1007/s10337-017-3305-3. – Joseph Ferrara, Deputy Director, X-ray Research Laboratory, Rigaku, for Crystallography Newsletter, Vol. 9, No. 3, March 2017. – Edward Schwalbe, Northumbria University. – Elena V. Boldyrevaa for the Journal of Applied Crystallography, Volume 50, Part 4, August 2017, https://doi.org/10.1107/S1600576717007580. Read the Q&A with John R. Helliwell.